2019 will be the year of moving beyond the hype cycles and figuring out what's real, of looking under the hood and tuning for critical usage, of sifting through the immature to find the robust. 1. AI for Infrastructure and Systems: Successful usage of AI has primarily been limited to Image, Graphics, and Natural Language Processing use cases, with usage in infrastructure and systems being relegated to straightforward statistical inference in proof-of-concept or lab scenarios, producing results which are no better than simple heuristics. Over the course of 2018, a few critical changes have occurred, primarily in the ubiquitous availability of AI toolchains - both on-premises and in the cloud via pipelines such as Kubeflow or MLflow and the democratization of libraries and language bindings to support these tools. This wide availability is prompting systems and infrastructure engineers to experiment a lot more easily, without the worry of private data leakage, and we predict that this ecosystem will enable exciting new use cases for AI in infrastructure design, deployment, and operations. An MIT Review study looking at more than 16,000 papers on AI over the past 15 years is already pointing at a trend towards more use cases and less basic research in AI in academia. 2. Cloud-Enterprise Confluence: A few years ago, the predominant mantra of the cloud companies was to make it easier to move every workload to the cloud. The agility, the removal of operational burden, and the promise of scalable cloud native architectures were the carrots that were widely thrown around and logically and easily accepted. Over the last few years, as valuable workloads attempted to migrate to the cloud, it became apparent that it wasn't a binary situation and there were some workloads, and critically, some data, that needed to be local. The race to bridge this gap has two sets of players approaching it from different directions. The infrastructure vendors have latched on to Kubernetes as the normalization layer between on-premises and the cloud (with K8s being supported by virtually every major cloud provider) and are driving the adoption of hardware + software stacks with K8s deep into the enterprise. The movement of all enterprise software towards a cloud native (container-based) architecture is accelerating this adoption. The cloud providers, for their part, have acknowledged the data and workload locality problem, and are betting that playing big in the on-premises market is the key to winning. The cloud providers are therefore entering the traditional enterprise on-premises infrastructure market, with a business model that is completely at odds with what they have been used to. The equilibrium, as always, is something in between. Over the course of 2019-2020, we will see both cloud providers and infrastructure vendors partner even more tightly to provide well-integrated platforms with clear go-to-market responsibility separation to enable engineering and sales as well as support scalability. 3. Better Build vs. Buy Decisions: Over the past couple of years, enterprises and service providers have slowly begun to realize the value of funneling their development resources towards applications that directly provide business value and outcomes. For a while, there was a desire to build and support everything from the ground up. From the infrastructure software (sometimes including a desire to build the hardware), to management and orchestration, to infra operational scaffolding and standing up SRE-like teams, to business apps and operations. You couldn't blame them. The lack of a production-worthy infrastructure software stack, the inflexibility of vendors in simplifying their systems, and the lack of a unified vision on what a scalable infrastructure looks like predictably drove this behavior. As these enterprises and service providers progressed on their journey, they realized that the skill sets required for building and supporting this mode of operation was in short supply and wouldn't allow anyone to scale. While these enterprises and service providers struggled with technologies, skill sets, and organizational realignments, the cloud (IaaS and SaaS) providers accelerated their feature and function offerings that provided even more business value. A significant percentage of enterprises and SPs have now settled on the notion this isn't where they should focus their resources as it doesn't translate quickly to business revenue. The infrastructure vendors, on the other hand, have realized the need to be flexible about their hardware, software, and sales models. They are adopting and supporting open source more readily and, open source software itself, is becoming operationally more mature. All of this is leading to a clearer demarcation between where infrastructure vendors provide generalized value and where the enterprise or service provider needs to step in to provide business-specific value. Over the course of 2019-2021, we will see these customers reach out to infrastructure vendors and develop a deeper partnership in solving their problems - ranging from co-development to end-to-end managed products and services. 4. The Action is at the Edge: For the longest time, there was a feeling that Edge Computing was the proverbial hammer looking for a nail. There was, of course, the need for a global cache presence for content providers, and there was always the question of the correct degree of availability for any workload and the number of geo-local regions needed to enable that availability metric. And then came the issues of GDPR and data sovereignty. But none of these use cases truly required hyper-local edge compute locations as the latency needs weren't strict enough. A few locations per country (in the case of European and most Asian countries) and a few per time zone (in larger countries like the U.S.) would suffice for most people and, at that point, we would blur the line between a data center and a hyper-local edge compute pod. As an industry, we dabbled with the notion of offloading network or other functions into edge compute locations and sometimes even explore the possibility of "build it and they will come." With the genesis of streaming gaming - not just the mobile version, but the transformation and the pending re-architecting of heavy-client games (think Grand Theft Auto on Xbox) into a streaming version - suddenly the Edge Compute paradigm has a golden use case, along with strict latency requirements. The dawn of true, heavy-traffic AR is also a couple of years away and would need the latency guarantees of an Edge Compute location. The Internet needs to get ready for streaming gaming and AR, as they will become the poster children for the acceleration of hyper-local Edge Compute buildouts, and we need to start now. 5. Serverless is Now - But not Now: All engineers and technologists know that Serverless is the way to build your applications. All application developers are clamoring for a serverless-only world. The desire to ignore the idiosyncrasies of setting up and operating a global scale, highly available infrastructure is every application developers dream state. It should just work and let them focus on the applications that generate revenue. In an ideal world, we would enable a serverless ecosystem globally today and move every app developer to it. In this ideal world, all enterprise applications would have been re-architected to be serverless. In this world, all infrastructure would be easily scalable, declaratively managed, well instrumented, and globally operated with five 9s of availability. There would be a common service mesh across all service providers and on-premises deployments, and a well-standardized set of APIs for all commonly used functions. This ideal world does not exist - but we need it now. Unfortunately, it won't arrive and be practical in 2019. We will continue to push the architectures, code, and partnerships to make it happen, but it will take us a few more years to see the light at the end of the tunnel. There is quite a lot of work to be done by the community and the industry, but this is also the best technology environment that users, developers, operators, and providers have ever seen. Operators and providers are finally building the highly-available, scalable, and robust multicloud infrastructure stack that they have always needed. Developers are gradually creating the abstractions, visibility, and APIs for feature velocity above this infrastructure. And all of this is becoming a catalyst for an optimal end-user experience. Vijoy Pandey is Vice President and CTO of Cisco's Cloud Platform and Solutions Group. He is responsible for driving Cisco's design and production of new cloud technologies and architectures, which enable customers to create, consume, and compete in a multicloud, automated world. 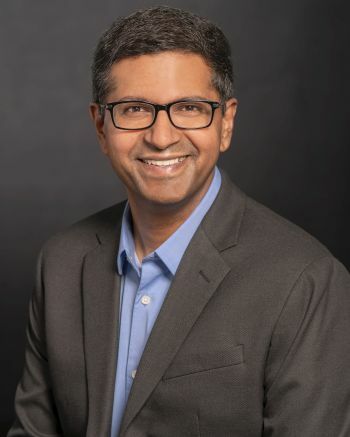 Vijoy has held CTO and software engineering leadership roles, and has over 20 years of expertise in cloud, virtualization, and automation which serve to complement his role as a technical visionary for a software-focused and disaggregated future for all infrastructure. He has led management and data analytics efforts for cloud-scale infrastructure and was instrumental in delivering many industry firsts - including the first declarative end-to-end automation framework at cloud scale, first open source SDN controller, first VM-aware switch, and the first low-latency HFT/HPC switch. Before joining Cisco, he served as Head of Engineering at Google for the company's cloud networks, where he was responsible for developing software systems for intent-driven automation, ML/AI-based data analytics, and application-level awareness. Vijoy has held the CTO role at various companies including Cloud Networking at IBM Cloud, Networking at IBM Systems and Software Group, and Blade Network Technologies. He has also led engineering teams at Blade Network Technologies, Nortel, and Alteon. Vijoy has a Ph.D. in Computer Science from the University of California, Davis. He currently holds over 50 patents in cloud, distributed systems, and networking.